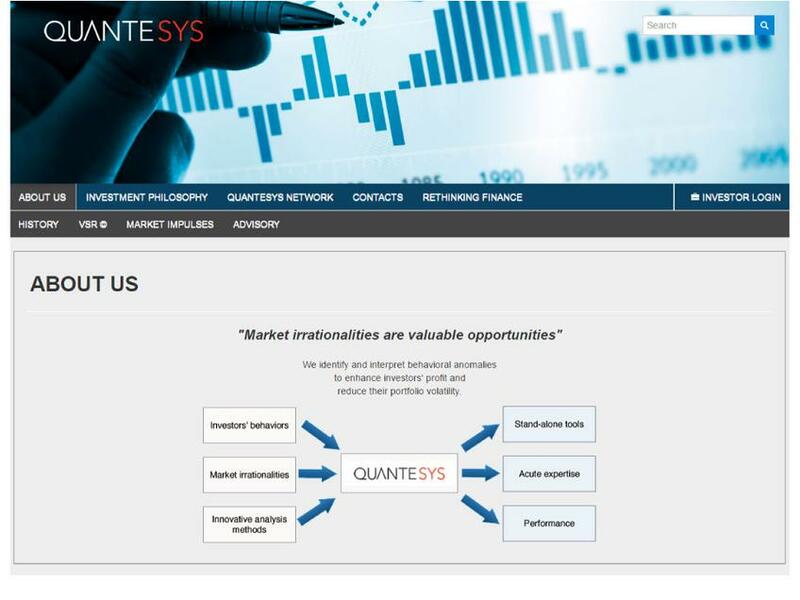 Quantesys is a Swiss financial technology and information provider to the financial services industry. The company provides advisory newsletter services based on a proprietary trading algorithm, able to identify and interpret behavioral anomalies linked to market irrationalities. Our typical clients are: external money managers, financial intermediaries, small-medium banks, hedge funds and brokers.